Posted on 11/14/2018 by David LaMason	in Live Review and tagged Bob Weir, Bob Weir and Wolf Bros, California, Don Was, folk, Grateful Dead, Jay Lane, Warner Theatre. 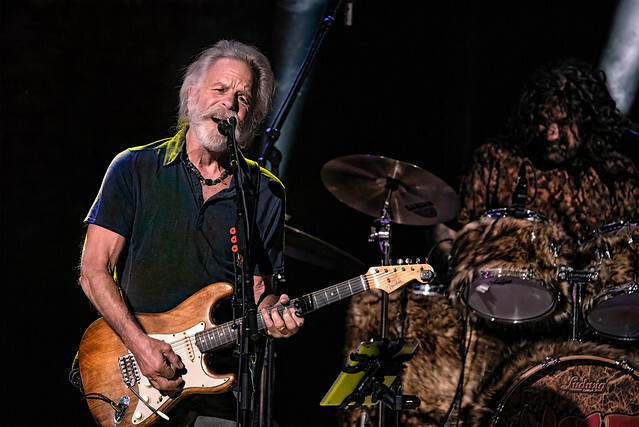 Over the summer, Bob Weir, most famous as a founding member of the Grateful Dead, formed a new trio with legendary musician and producer Don Was on upright bass and former Primus drummer Jay Lane on drums. Over the trio’s inaugural tour, Bob Weir and Wolf Bros have been playing a mix of Grateful Dead tunes covers, and a few newer songs. And on a messy, rainy Monday, Bob and company brought a healthy dose of sun to the Warner Theatre.